The complete video game party brought to your doorstep. My family was so excited to hear that because I blog for the US Family Blogger Team, I got us invited onto the Game Truck. We've seen ads, we've talked about it, we have been itching for a chance to party with it---and now, we get to review it. What a night! We arrived at the party spot (my friend's home) where the Game Truck was up and running. We were a little 'fashionably' late by about 10 minutes. 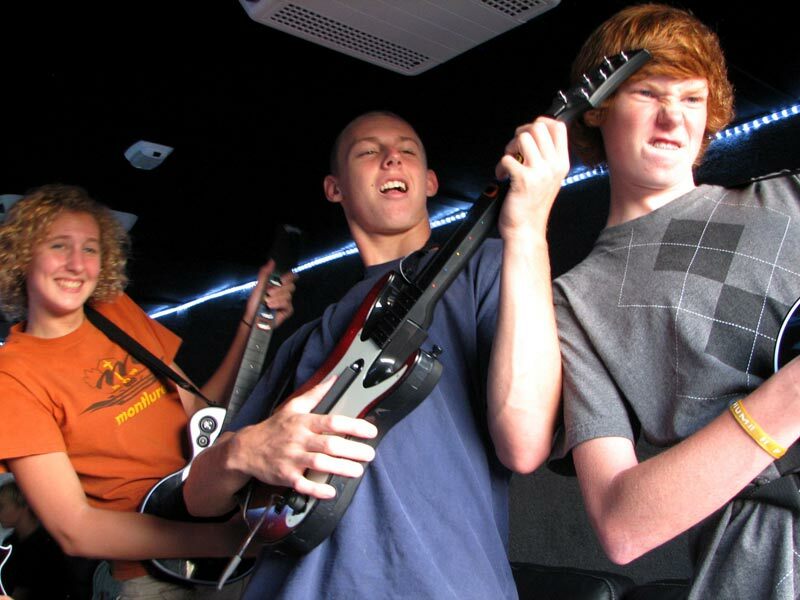 It was a hot summer night and I couldn't believe how cool the Game Truck stayed--for the entire 2 hours. There are 4 TVs and 4 players can play on each screen. So a total of 16 gamers can play (plus 1-2 on the new portable Wii U gamepad). More people than 16 fit very comfortably in the truck. And wow, you can't believe the games. They have every system and every game we could think of. Bonus points for Game Truck--they display their games on the walls. The Teen and Mature Rated games are kept in separate areas from the rest of the games. As the parent (host), you can choose what walls games can be selected from. Since there were kids ranging from age 5 to 17, the mom in charge said no Teen or Mature games for this evening. The wide array of games was impressive. They also had almost every Skylander known to man. My kids had a hay-day with those because I haven't wanted to purchase them. I'm afraid we'd lose them! Game Truck does a nice job of hanging onto them for my kids. Also, everything was incredibly clean and I noticed our Game Truck Rep cleaning remotes as we went and giving the truck a good cleaning when the party ended. I thought it was the newest truck, but he insisted they just keep them that clean. Nice--I don't want my kids picking up germs from the remotes! I also like the idea of the party coming to you. And it's all contained so no mess for you, no cleanup. They park and open the door and you've got an instant party. 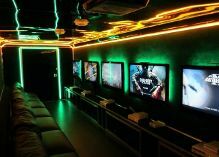 Each video game theater is equipped with HDTVs and a wide selection of games for Xbox360, Wii, PlayStation3 and a GameCoach to manage the party so you can relax. All we need is a place to park and people to play. Guess what?!!? You get a special deal, too--just because you know me. You can use this coupon for free giftbags and t-shirt! If you book your party, make sure you tell them that Robyn from Coolestmommy.com sent you over!! 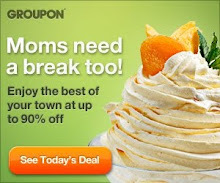 And when you book, make sure you go to US Family Guide and get your coupon too! Click HERE! 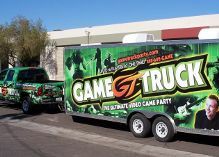 If you think you'd like Game Truck, be sure to go to the Game Truck Facebook Page and like them. and like their facebook page! You can also find them on the web by going to the Game Truck Website. 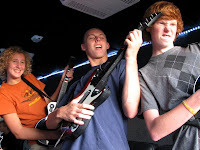 Here are some photos of my family playing games on the truck. Disclosure: I was given the opportunity to attend a Game Truck event in exchange for my honest review. No other compensation was given and all thoughts and opinions are my own.